The ProCorsa Athletes Lounge Arm Warmers are a lightweight and durable barrier between your skin and the elements. 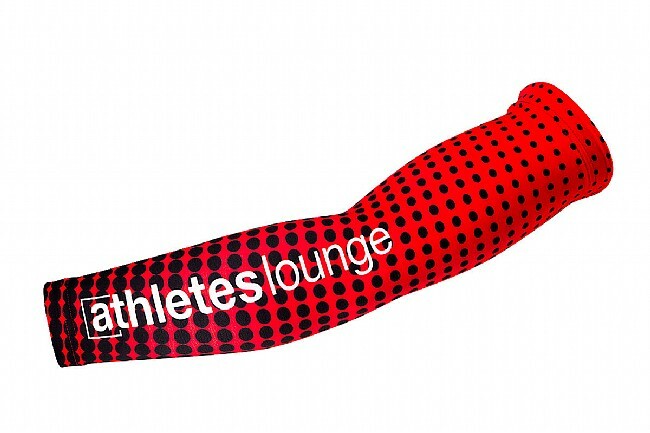 Designed here in Portland, Oregon, these arm warmers feature an eye-catching design that completes the rest of the Athletes Lounge kit, or adds a splash of accenting color to any kit. Offering the optimal amount of insulation and breathability, these arm warmers are a great transitional piece, providing warmth for those intermediate fall and winter rides, while keeping the sun off skin and wicking away moisture during those cooler summer and spring rides. These give the best protection I've ever had in arm warmers.